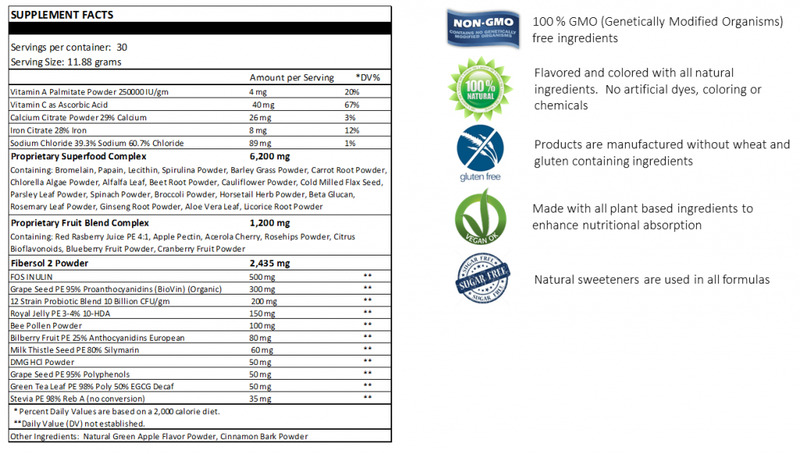 CLEAN GREENS is a concentrated form of fruits and vegetables designed to provide an easy way to add in more vitamins, minerals, fiber, and many of the essentials for a healthy diet. 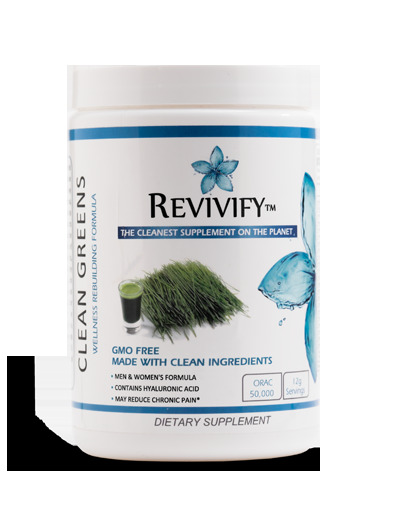 It supports daily cleansing and rejuvenation with a special combination of nutrient-rich vegetables, fruits, herbs and other propriety supplements to optimize health for those with a nutrient deprived diet. CLEAN GREENS is perfect for your favorite shake, juice or simply in a glass of water for a quick refreshing drink. Begin your day with CLEAN GREENS and start living a Revivified life of health.